Queen Margrethe and Prince Henrik will celebrate 50 years of marriage on June 10th, and so far it seems they'll do so without much public fanfare. (Although they were joined this week by the rest of the Danish royal family to unveil their gift to each other: a statue, designed by Prince Henrik, in the Fredensborg Palace gardens.) This is in sharp contrast to the scene 25 years ago, when the couple celebrated their silver wedding anniversary with two tiara-filled gatherings. 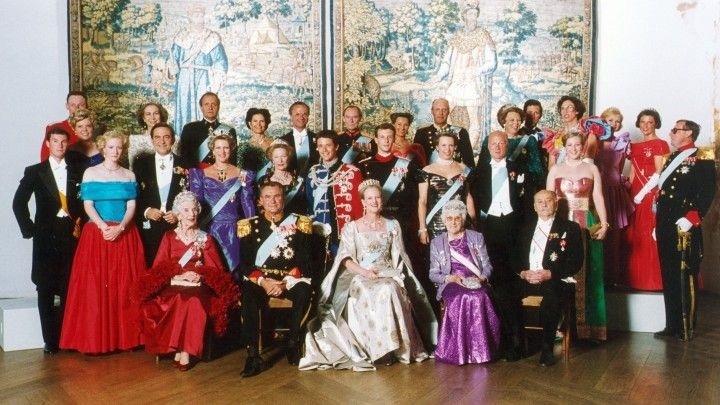 You don't have to know much about Queen Margrethe to know that she ordered up two extra-special gala gowns for the occasions. There was, of course, a big official banquet with loads of royal guests in their very finest. The banquet was held at Kronborg Castle, the Renaissance structure that doubles as Elsinore in Hamlet, so naturally Queen Margrethe chose to wear a Renaissance-inspired gown by Jørgen Bender, her wedding dress designer and longtime couturier. 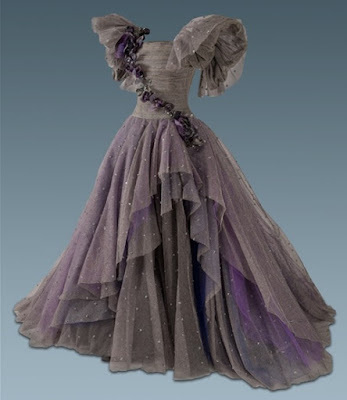 The dress is made from distressed silver and gold-woven silk brocade with dramatic cape sleeves and a square neckline. 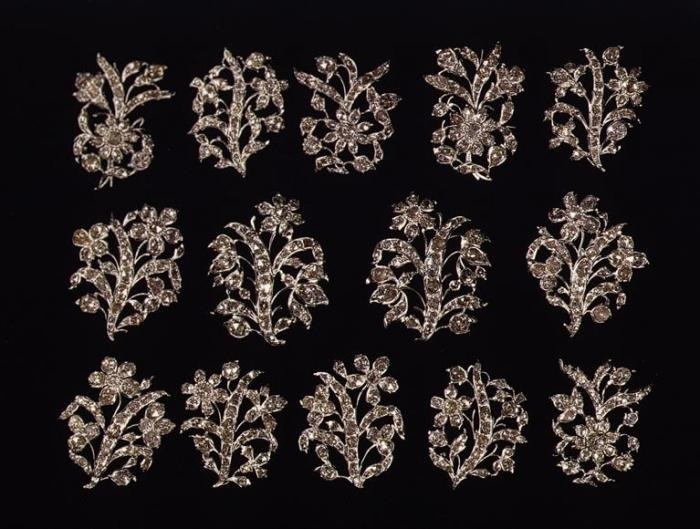 Perhaps even more dramatic were her jewelry choices: the Pearl Poire Tiara and a selection of diamond jewels borrowed from the crown jewels at Rosenborg Castle. The large necklace, earrings, and brooch in the center of her gown have been worn on multiple occasions, including Crown Prince Frederik's wedding. 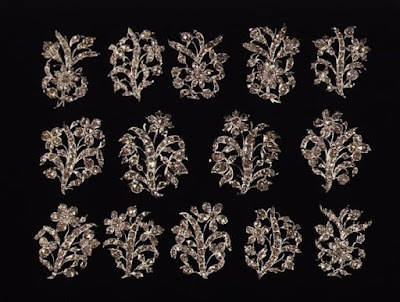 More rare were the diamond ornaments that once belonged to Princess Charlotte Amalie of Denmark (1706-1782), which Queen Margrethe placed down her sleeves. It was the first time in generations these pieces had actually been worn. The poster child for unusual brooch placement, isn't she? LOVE. A moment for Margrethe's mother, Queen Ingrid, before we move on. A RED dress with a BOA on it, plus the all the Danish Rubies she can stand, hello! And she's pulling it off without a problem. No wonder Margrethe has such panache. There's a rare sight to the left there, too: Prince Henrik's mother, Countess Renée de Monpezat, wearing the diamond floral tiara today worn by Princess Marie. She borrowed a little treat from her daughter-in-law for the big shindig. A candidate for the most Disney royal gown of all time, wouldn't you agree? 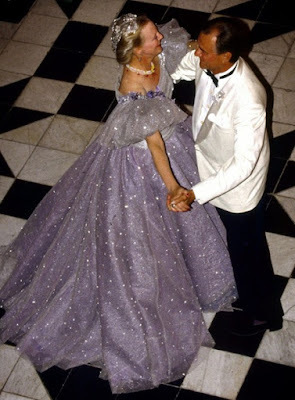 Absolute Cinderella, right down to the sweeping waltz with her prince. Queen Margrethe worked with Jørgen Bender to make this fairy tale come to life. It used a reported 60 meters of tulle in varying shades, purchased in France. The off-the-shoulder gown features those mega sleeve details she couldn't help but love, plus silver star accents and asymmetrical floral trim across the bodice. Sweeping, yes, that's the word. (See it in motion here.) A princess dress indeed. A queen's dress, too...but maybe just for Daisy.